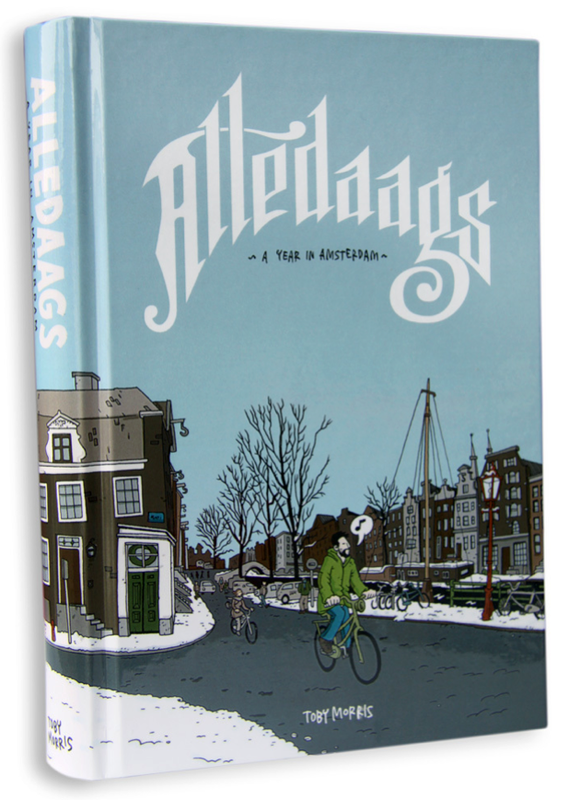 Alledaags is a wonderful and hilarious look at Dutch life from the eyes of an Ex-pat. An not just any Ex-pat, but New Zealand local legend, Toby Morris. 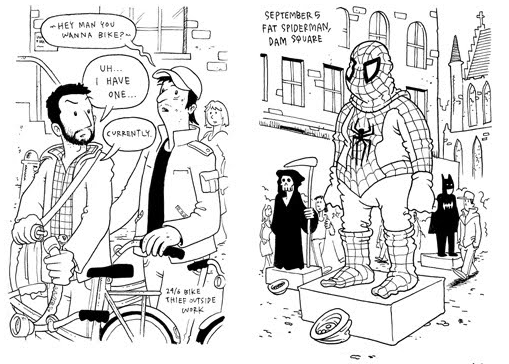 You can see more of Toby's work here. "In January 2009 Toby Morris began a daily sketchbook diary documenting his life and his observations of his adopted city. Alledaags collects 333 of the drawings and covers everything from canal boats, hair gel and the madness of Queen's Day to Vondelpark picnics, Zwarte Piet and blunt Dutch service." 125x190mm, Hardcover, 354 pages, €30. All profits go to the Guy Champney Memorial Fund, in honour of our beloved friend, a man who loved Amsterdam life and observed it as keenly as Toby. So, support two beaut guys who what makes this place tick, and what makes it so special. Available online only here.